Available in 3 sizes, 120mm, 130mm and 150mm high. 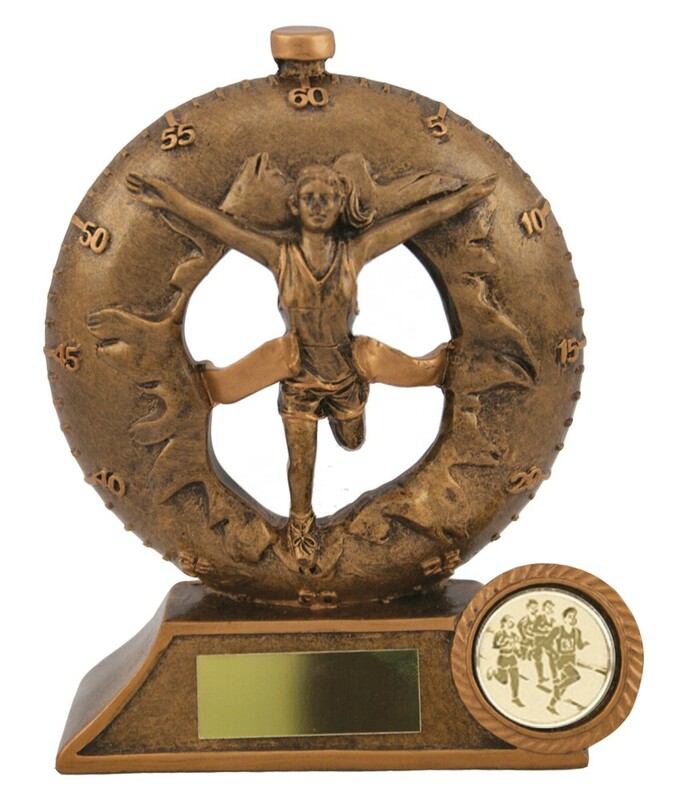 Choose the male or female design, solid resin award, antique gold with gold detail. 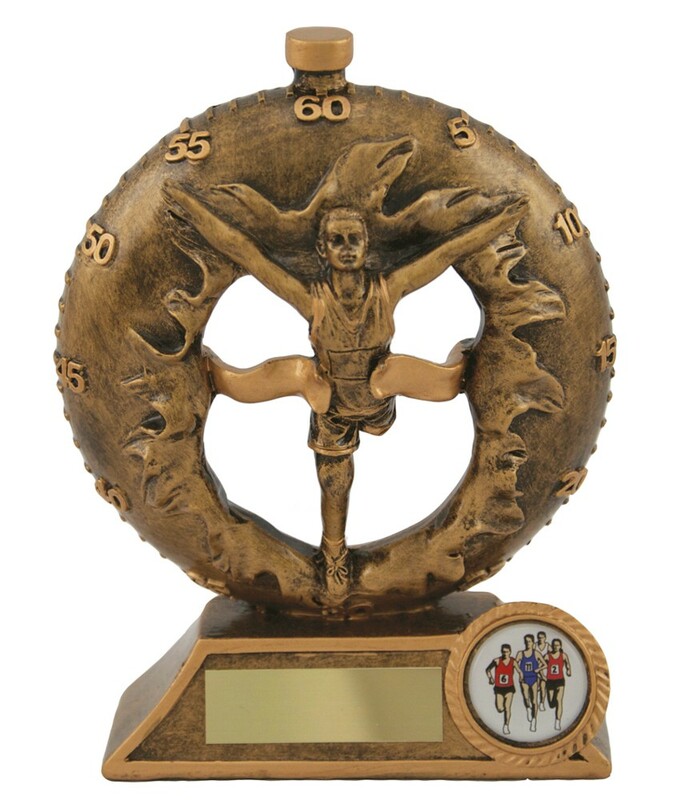 Great value running trophy.